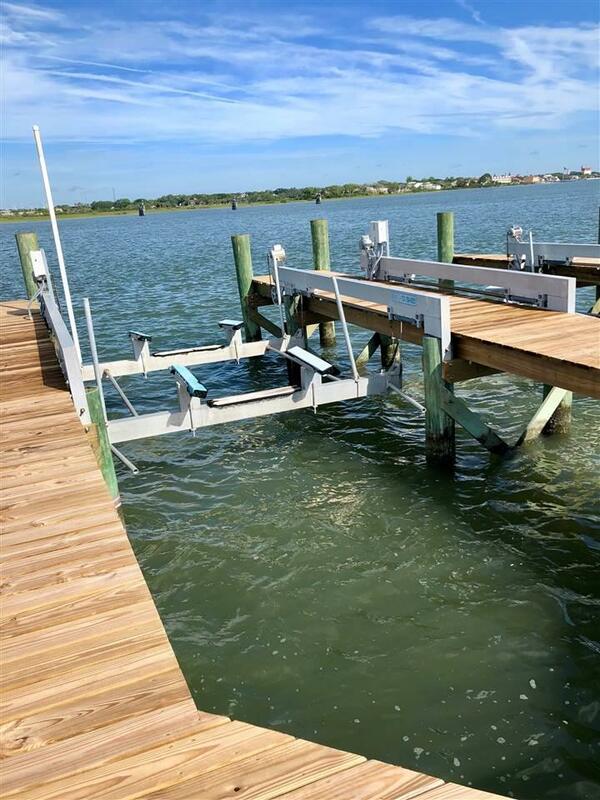 Exciting chance to own a newly renovated, 45-foot (but buyer needs to verify the exact size), deep-water boat slip in Pelican Reef, right on the Intercoastal waterway. Easy access slip, just second slip from the entrance with two walkways down either side (rare). The pier portion of the docks has been rebuilt with new electronics, and aluminum lifts. Boat lift designed to accommodate marine vessels up to 32-ft. Weight capacity: 10,000 lbs. Boat slip can only be owned by or leased to Pelican Reef property owner. Amenities include gated parking, access to water, power and dock box. HOA fees: $100, paid monthly.